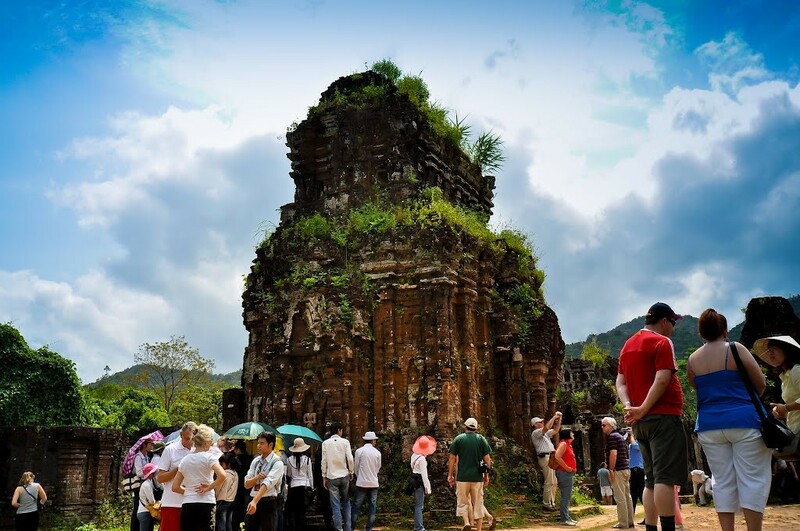 Discover this tour with VN Discovery Tours within 11 days 10 nights, you will visit all interesting destinations from South to North. 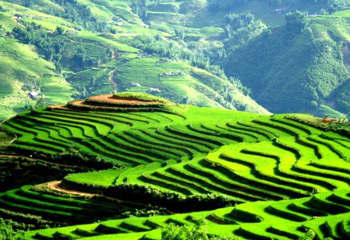 You will know more about the life way and customs of the minority people in Sapa, besides, you can admire landscapes with flowers, terraced field...then you will enjoy Halong bay on cruise 2 days 1 night. 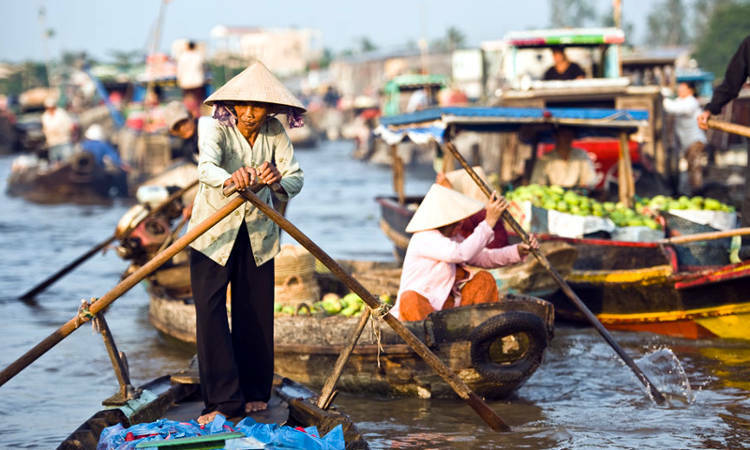 Visit Hoian, My Son Sanctuary, Hochiminh City, Cuchi tunnels and Mekong delta, you will really enjoy the unforgettable trip. 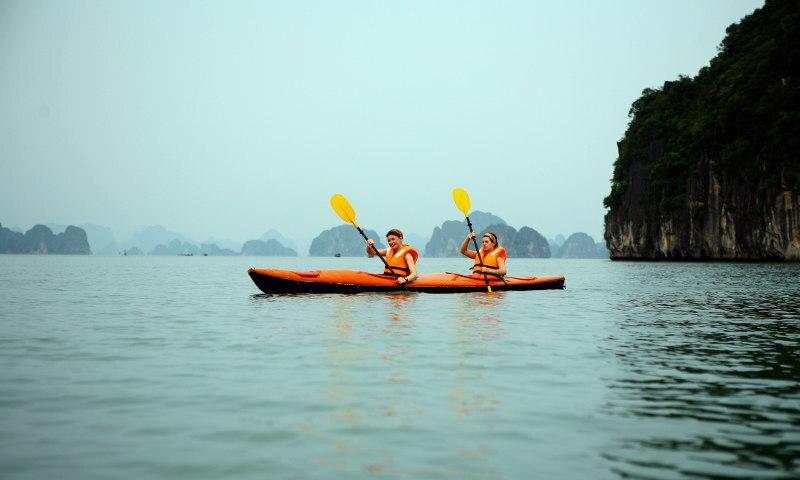 Note*: This is a special tour made by VN DISCOVERY TOURS. In any case, please contact us for details in accordance with your departure date or customized itinerary. 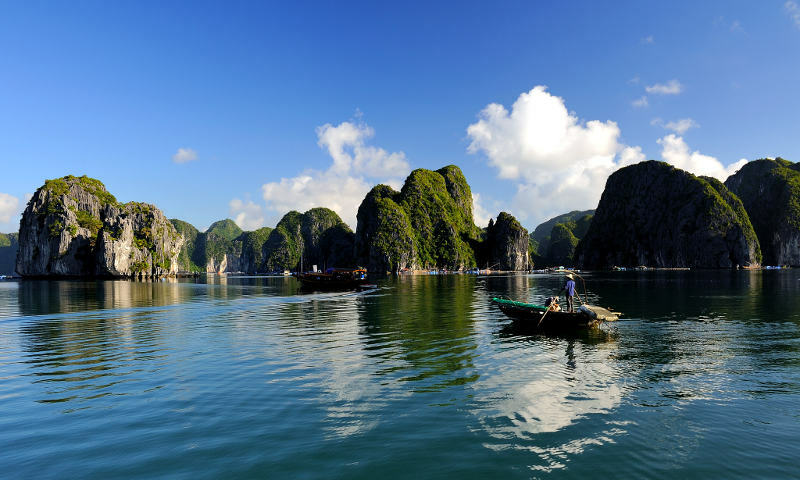 You can also start your Vietnam trip from Hochiminh City. 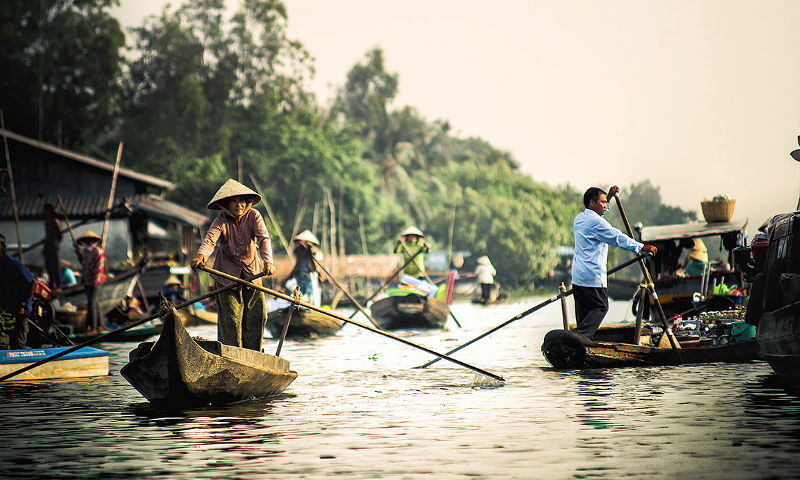 Up on arrival in Hanoi, we will be welcomed by VN DISCOVERY TOURS car and driver, transferred to hotel in the city center, check in and relax. Overnight at hotel in Hanoi. In the morning, our tour guide and driver will meet us at the lobby of the hotel at 08:30; we visit Ho Chi Minh Complex with Ho Chi Minh mausoleum, Ba Dinh square, One Pillar pagoda and Temple of Literature in the morning. 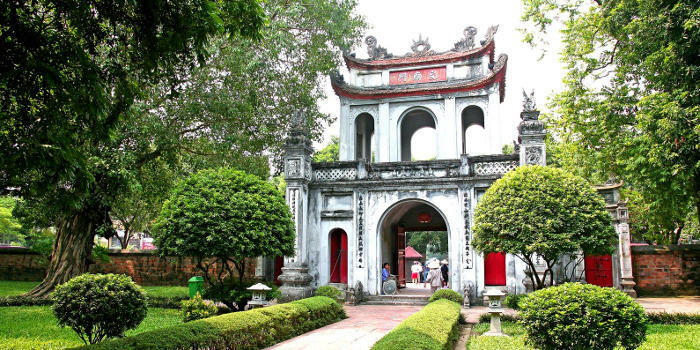 The rest of the day we will visit the museum of Ethnic Minority , Hoan Kiem Lake and Ngoc Son Temple . Tour ends at hotel arround 17:00, we have a shower at hotel before being picked up and transfer to train station for our night train to Sapa. Overnight on train. 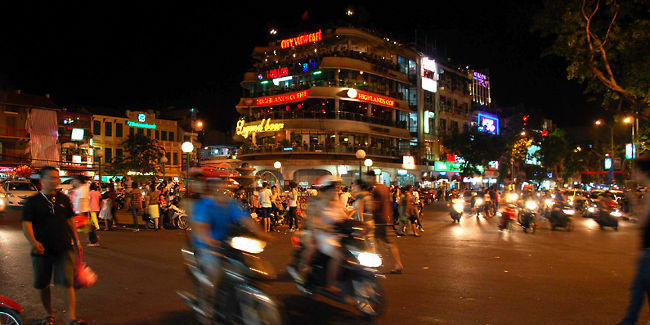 7:20 pm– Mini bus picks up from hotel and transfer to Tran Quy Cap train station. 8:25 pm- Train departs and overnight on the train. 5:00am: Pick up at Lao Cai train station to Sa Pa by minibus. Arrive in Sa Pa in the mid-morning, then have breakfast and relax at hotel, after that the guide takes you to visit two villages of Black H’mong people ( Cat Cat Village ), a waterfall and you have a chance to see the hydroelectric power station built by the French. Back to Sa Pa for lunch. 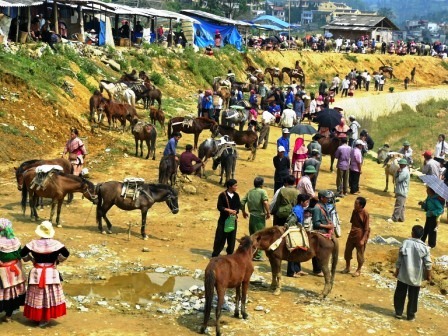 At the afternoon you are free to visit Sa Pa town and Sapa market. Dinner at the restaurant. 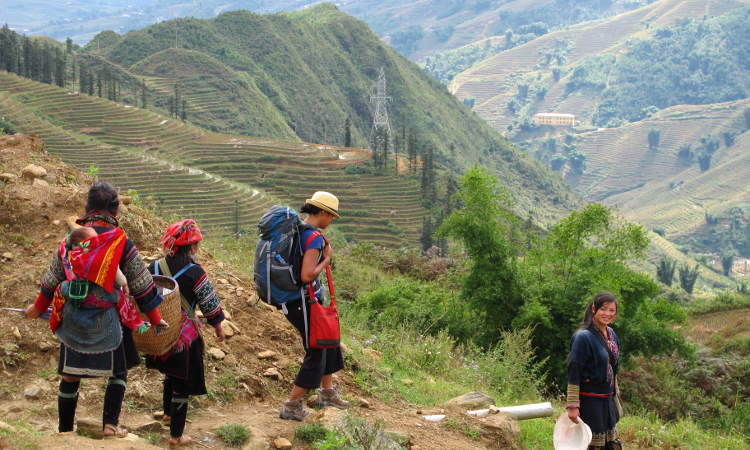 After breakfast, the guide takes you to the villages of the H’mong and Dzay called Lao Chai and Ta Van.The day is devoted to a beautiful hike through the breathtaking scenery of Sa Pa valley. 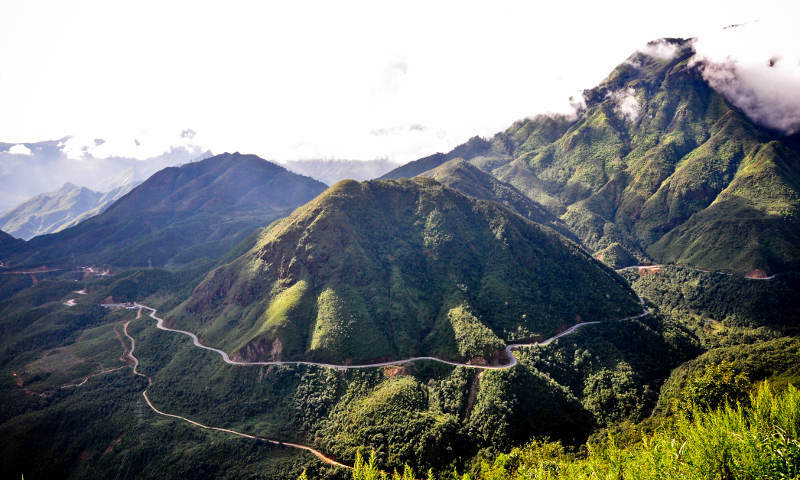 Start by road that descends in the wake of the street Cau May (6 km) En route, admire the rice terraces hidden behind mist of the morning, a truly awe-inspiring sight.Follow a small track and cross Muong Hoa River and pass well tended rice terraces on your way to the Black Hmong village of Lao Chai. 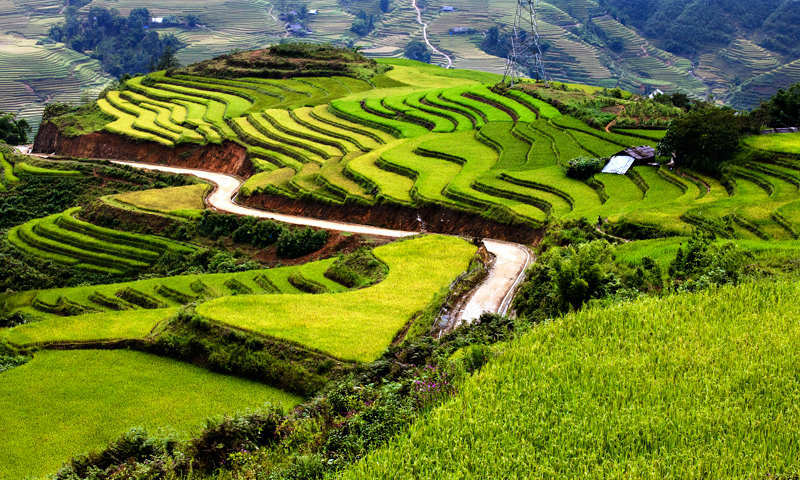 Continuing through the colorful rice terraces you will reach the village of Ta Van Giay . As you continue your trek along the Muong Hoa River you will cross a small suspension bridge, roughly 2km from the settlement. Here you can discover a fascinating collection of rock carvings. These engravings depict some beautiful images of man, stilt houses and some beautiful decorative patterns. We lunch in a home in the village. After lunch the walk continues through a bamboo forest to visit Red Dao ethnic minority village. After taking a rest nearby a waterfall to refresh, you start climbing uphill to a road where the car is ready for your journey back to Sapa. Take a shower and have dinner in Sapa/Laocai before transferred to Laocai. Overnight on train. 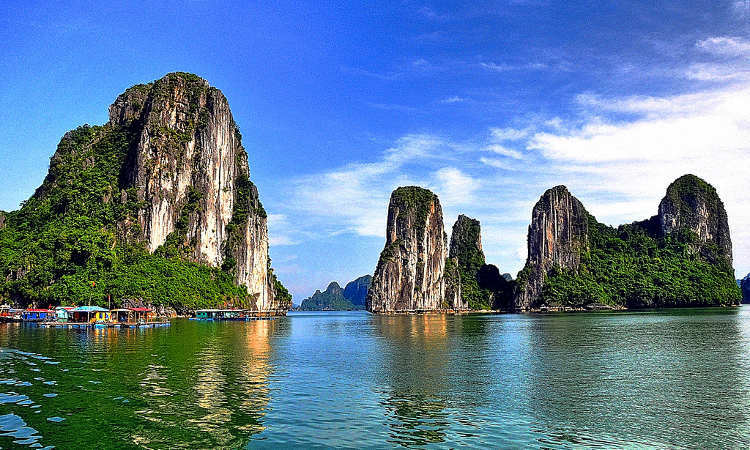 We will arrive in Hanoi at around 5:00 AM, our tour guide will pick you up and transfer you to hotel, you will take a shower, have breakfast and relax at the hotel lobby and wait our guide come and take you to Halong bay. 13h00: Board our junk with soft welcome drink, check-in registration. 22h00: Spend a quiet night on the boat in a deluxe cabin. 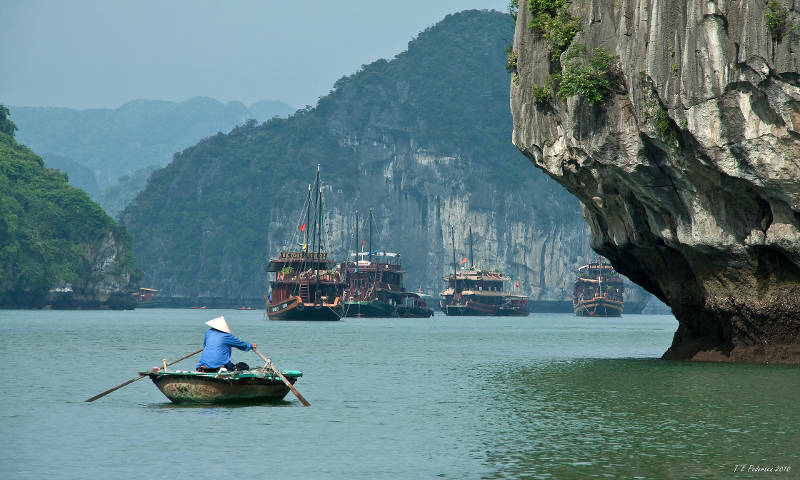 06h00:If you like enjoying Ha Long Bay’s sunrise, please get up early before 6h00 A.M.
11h00 – 12h00: Take boat trip back to Halong city. 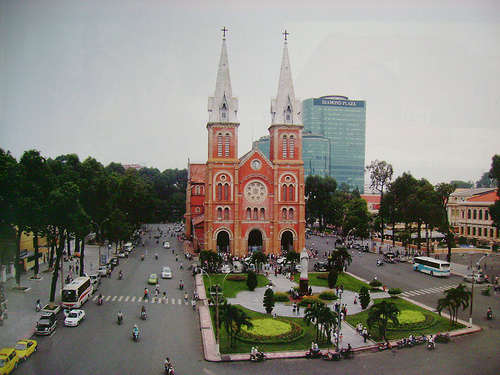 16h00 – 16h30: Arrive in Hanoi. Take a shower before transferred to Hanoi train station. 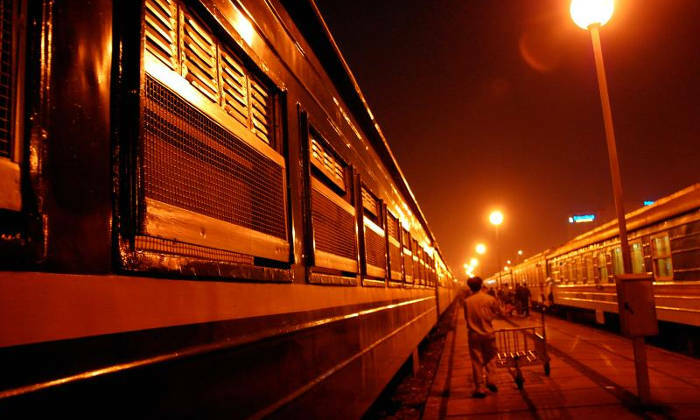 Catch a night train to Danang. 4 soft berth sharing cabin. 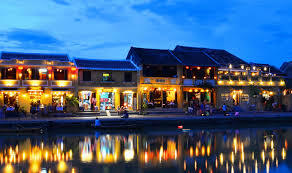 Arrive in Danang around 10:30 Am, our guide will pick up and transfer you to hotel in Hoian. 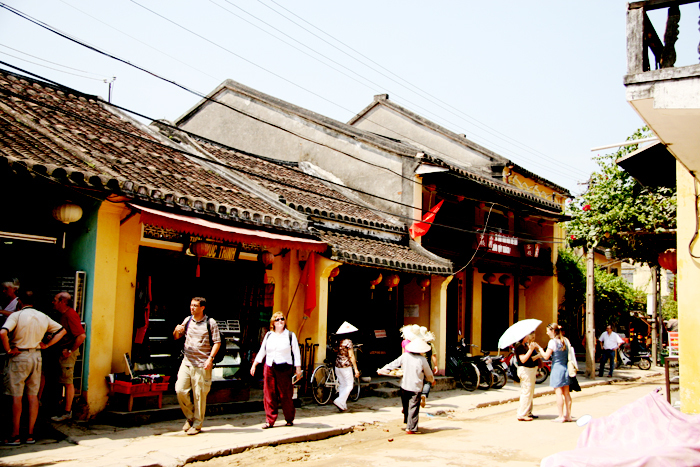 Free time to discover Hoian town. 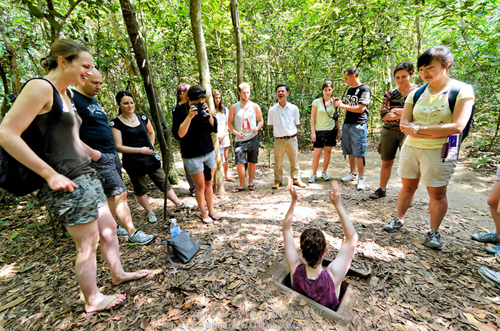 Day 9: Hochiminh City tour & Cu Chi tunnels tour (B,L). 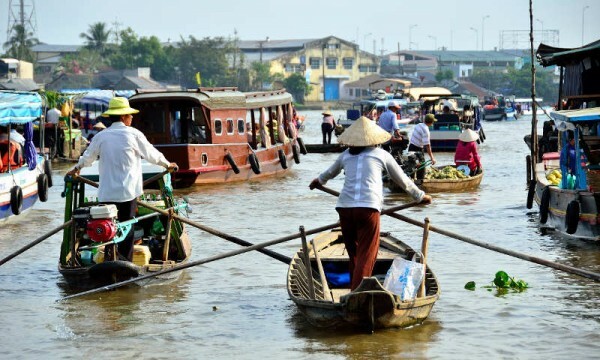 Day 10: Hochiminh City – Mekong delta (My Tho-Ben Tre) (B,L). 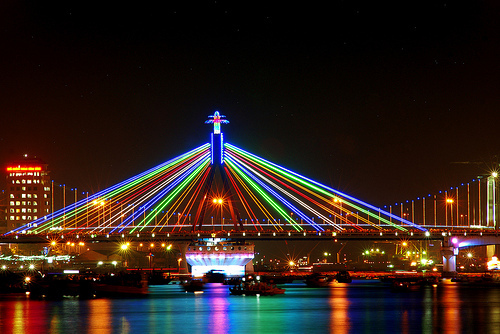 -Domestic flight: Danang – Hochiminh City.